Kooheji Jewellery sponsored this years’ Manama Entrepreneurship Week 2017 organized by the Capital Governorate under the patronage of the Governor His Excellency Shaikh Hisham bin AbdulRahman Al Khalifa. The event which aims to boosting efforts to encourage and strengthen entrepreneurial culture in the Kingdom of Bahrain, received an overwhelming response and witnessed participation of over 5,000 attendees and International speakers. 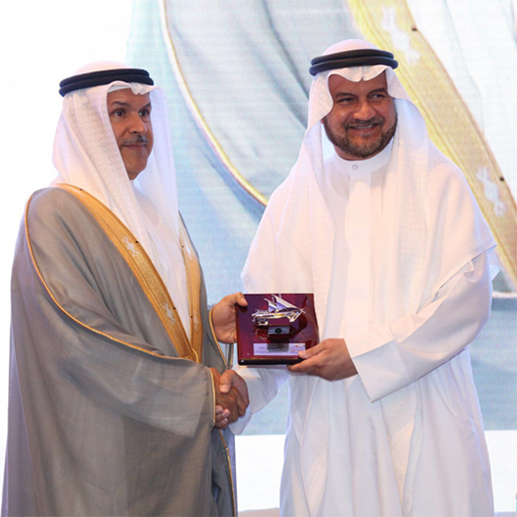 Mr. Waleed Al Kooheji, Chairman of Kooheji Jewellery witnessed the opening ceremony of the event, and said: Our participation in Manama Entrepreneurship Week 2017 demonstrates our keenness to provide means of success for young Bahrainis who wish to develop themselves and contribute to the development of their country's economy. We support youth’s direction towards entrepreneurship as a path to distinction and success. The event, Mr. Al Kooheji said is an excellent opportunity for to learn about the business community and entrepreneurship. And we hope that more Bahraini entrepreneurs will come up with innovative and creative solutions that will benefit the Jewellery Industry in Bahrain and the Region.